We are excited to share our biggest Seedbox update to date! It’s been over a year since we have been revamping our Seedbox features where we firstly introduced built-in OpenVPN feature (read more). Since then, we have been writing our template from scratch to provide the most stable, efficient and secure experience possible. Probably our best Seedbox ever. First and foremost, Ubuntu enthusiasts will be pleased to hear that your Seedbox will now have Ubuntu 16.04 LTS (Xenial Xerus) operating system installed which means that this one can serve you for the next half-decade very reliably! The latest security and anonymity applications have been installed as well to make sure your Seedbox VPS is not open to exploits. On the background, we have written advanced services that will ensure your essential Seedbox services are up and running 99.99% of the time so that you can stay connected and enjoy your Seedbox at all times. You didn’t think we’ll forget to improve our streaming capabilities, did you? In case you are subscribed to our Streaming Seedbox, you will benefit from our latest Plex Media Server (1.2.7.2987). In addition, we introduced Advanced PLEX analytics and monitoring capabilities in case you are sharing your Plex Media Server with friends or simply want to know how much time you have spent watching particular content. The most popular clients you like to use including ruTorrent (rTorrent), Deluge and NZBGet have been updated, including all their plugins. We have decided to keep uTorrent Server for uTorrent users, prefer even though this project is no longer under active development. 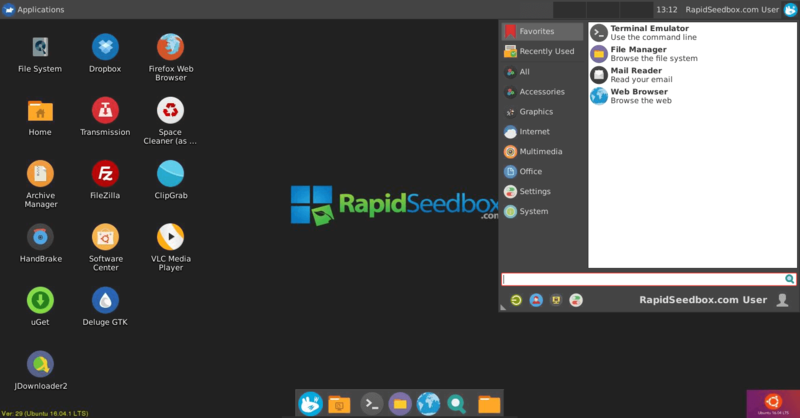 One thing RapidSeedbox team is very proud of is our Remote Desktop. As you already know, every Seedbox plan of ours comes with root access and encrypted access to a remote desktop where you have an intuitive graphical user interface (GUI) that you can use to run advanced operations on your Seedbox. Our Seedbox clients can connect to their remote Desktop via PC, Mac, and Linux-based desktops and benefit from familiar applications like Firefox, Dropbox, Handbrake, and VLC. Download Managers, Archive manager and Software Center where you can install new applications in one click are also in place. Next to our high bandwidths and storage capabilities, it’s equally important for us to protect your seedbox server from attack. Using Fail2ban, a leading open source intrusion prevention software tool that is used to protect from brute-force attacks and more, we were able to create the most secure experience we have had to date. Through automatic continuous monitoring of logs of services, Fail2ban will protect your service from malicious attacks and hacking attempts, including your SSH, FTP and Apache server. Our technicians have been putting a lot of thoughts behind our protection policies and this template takes us a huge step forward in creating a bullet proof Seedbox. We are pretty confident that our new Seedbox will provide a wonderful experience and will also serve as a great baseline for us to apply new features and incorporate client feature requests. 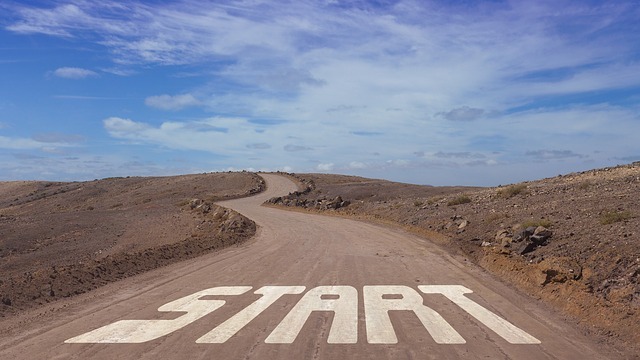 New clients will benefit from it immediately while existing clients can upgrade to it by sending a request via their personal Client Area/Dashboard.